Adoption of lighting emitting diode (LED) lighting for general illumination is poised to be the largest advancement in lighting building efficiency during the 21st century. A variety of market actors have introduced LED products and made performance claims that have set the technology up with unrealistic performance expectations. LED manufacturers have focused on research into efficacy cost at the expense of quality, resulting in an influx of poor quality LED products with minimal options such as color and dim ability. This has led to a lack of consumer satisfaction, and resulting minimal market share for LED products in key indoor residential and commercial applications. This project focuses on the design and development of innovative LED lighting solutions for three key general illumination product categories. These solutions are a best-in-class medium, screw-base replacement lamp, linear tubular light emitting diode (TLED) replacement lamps and spectrally optimized, dedicated LED luminaires. Product design requirements are based on consumer light quality and functional performance preferences determined through a series of unique laboratory-based consumer preference and product characterization studies. This project could improve understanding of metrics and test procedures associated with LED quality and performance, increase lamp manufacturer's ability to comply with future energy codes and standards and produce good quality LED products and increase consumer acceptance and satisfaction of LED lamps. 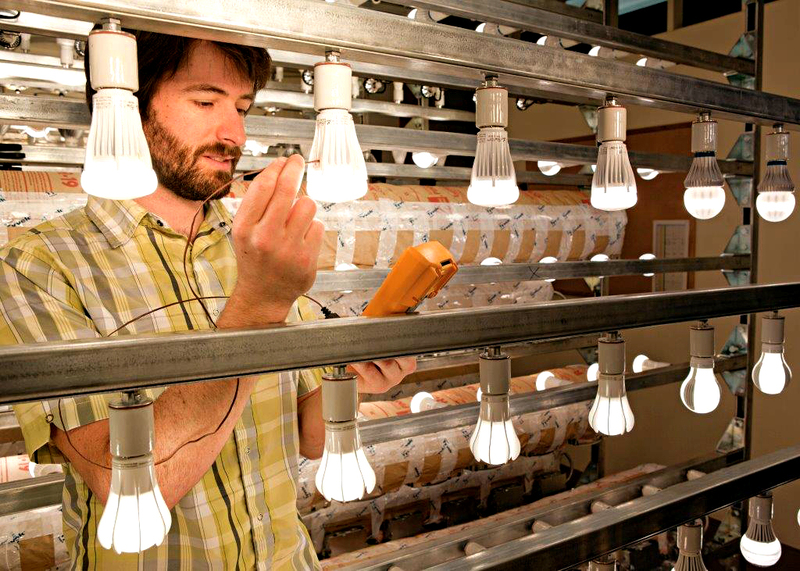 Lower Costs: The LED products developed could result in direct electricity and peak demand reduction and cost savings for consumers by an estimated 30%. Environmental Benefits: As lighting constitutes 20-30 percent of the electrical use in buildings, the development and deployment of the developed LED products could reduce electricity use and CO2 emissions.